Anaheim Jr. Ducks 16U AAA forward Jack Gates has committed to play his NCAA Division I hockey at Colorado College. Gates, 16, is in his first season in his first season playing in the North American Prospects Hockey League (NAPHL) and second overall for the Jr. Ducks. “It’s a big step forward for the Anaheim Jr. Ducks to have Jack Gates be our first player ever to commit to a NCAA Division I program directly from our organization,” said Jr. Ducks 16U coach Alex Kim. Through 15 games in the NAPHL this season, the Oceanside native totaled 26 points (six goals). Overall, Gates recorded 66 points (16 goals) in 42 games. Gates was recently selected to play in the NAPHL 16U All-Star Game, which took place earlier this month in Blaine, Minn. Gates recorded a goal and an assist for Team Blue in its 5-3 loss against Team White. 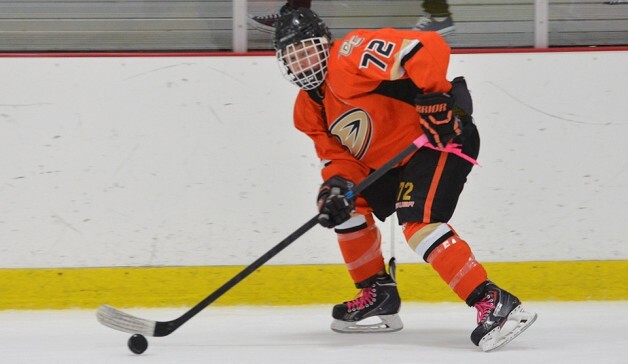 His 26 points is tied for third in NAPHL 16U scoring and his 20 assists led the league. At the most recent NAPHL event in Blaine, Gates recorded eight points in the five games as the Jr. Ducks forged a perfect 5-0 record. Gates also participated in last summer’s USA Hockey Select 16 Festival, where he struck for six points in five games.